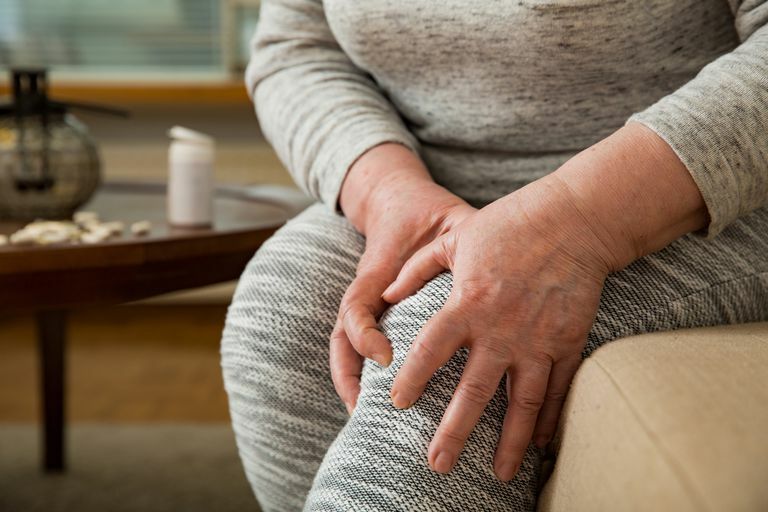 Plica syndrome, sometimes called "synovial plica syndrome," is a condition of irritation of the tissue that is the inner lining of the knee joint. Synovium is the type of tissue that forms the lining of a joint. The synovial tissue contains the joint space and helps to make the normal fluid that lubricates the joint. The synovial plica are membranes that separate the knee into compartments during fetal development. These plica bands normally shrink in size during the second trimester of fetal development. In adults, they exist as sleeves of tissue called "synovial folds," or plica. In some individuals, the synovial plica is more prominent and prone to irritation. There is really no known function of a plica, it is simply a leftover anatomic variation that exists in some people and not in others. The plica on the inner side of the knee, called the medial plica, is the synovial tissue most prone to irritation and injury. When the knee is bent, the medial plica is exposed to direct injury, and it may also be injured in overuse syndromes. When the plica becomes irritated and inflamed, the condition called plica syndrome results. X-rays of the knee are typically normal in a patient with plica syndrome. An MRI may be done to help with the diagnosis, but this test is not a perfect method to diagnose this condition. Plica syndrome is best treated by resting the knee joint and allowing inflammation to subside. Treatments to reduce inflammation include ice application and anti-inflammatory medications. These measures are usually sufficient to allow the irritated plica to settle down. Occasionally, an injection of cortisone into the knee will be helpful. If these measures do not alleviate the symptoms, then surgical removal of the plica may be necessary. This surgical procedure is performed using arthroscopic knee surgery, or a small camera, that is inserted into the knee along with instruments to remove the inflamed tissue. The arthroscopic plica resection has good results assuming the plica is the cause of the symptoms. Often a plica is seen on arthroscopic examination. Unless the patient's symptoms are consistent with plica syndrome, and the plica looks inflamed and irritated, the plica is usually left alone. Plica resection during arthroscopy is only performed if the plica is thought to be the source of symptoms. There is controversy as to whether or not plica syndrome even exists. Many people have a plica, and some seem to have pain in that location while others do not. Some doctors believe that the plica band can be a source of pain while others feel that the pain is likely resulting from another problem such as patellofemoral pain syndrome, or a meniscus tear. Most surgeons agree that while synovial inflammation can be a source of possible knee pain, it is relatively uncommon and should only be considered the source of pain when other, more common conditions have been excluded. Certainly, efforts to manage the symptoms with nonsurgical treatments should be attempted before considering surgery to address this condition. Ewing JW, "Plica: Pathologic or Not?" J. Am. Acad. Ortho. Surg., Nov 1993; 1: 117 - 121.